Without question, Jerusalem remains the most controversial city in the world. It has played a decisive role in Judaism, Christianity and Islam. Temple Mount in Jerusalem and much of the ancient city were destroyed by the Roman Empire in AD 70 and the Jews were dispersed from the land of Israel over the next decades, with the end of the Bar Kokhba revolt (AD 132-135) bringing the final forced dispersion of the Jews from Jerusalem. Only in the 20th century was Jerusalem restored to Jewish control in 1948 and the Old City of Jerusalem in 1967. Jerusalem was the center of Jesus? final days for it was there He was crucified, buried and resurrected in AD 33. But it was not until Caesar Constantine in AD 313 and the subsequent developments under him and his mother, Helena, that the sites associated with Jesus? life became major points of Christian pilgrimage. The Church of the Holy Sepulchere and other churches were built over key places associated with Jesus; thus Jerusalem became a critical center of organized Christianity until Islam conquered it. It is to that block of history we now turn. On a February day in the year AD 638, the Caliph Omar entered Jerusalem riding on a white camel. He was dressed in worn, filthy robes, and the army that followed him was rough and unkempt; but its discipline was perfect. At his side rode the Patriarch [of Jerusalem] Sophronius as chief magistrate of the surrendered city. Omar rode straight to the site of the Temple of Solomon, whence his friend Mahomet had ascended into Heaven. Watching him stand there, the Patriarch remembered the words of Christ and murmured through his tears: ?Behold the abomination of desolation, spoken of by Daniel the prophet.? Soon after Jerusalem was occupied by the Muslims, building activity transformed it from a predominately Christian city into a triumphant Muslim holy city. By the late 7th century, the importance of Jerusalem to Islam was well established?the third most important city in Islam after Mecca and Medina. Caliph Omar, the conqueror of Jerusalem, was the most venerated figure in Islam next to Muhammad. Moshe Sharon, professor of Islamic History at Hebrew University, writes that ?Islamic tradition therefore describes Omar?s (the Savior?s) entrance into Jerusalem as a messianic event. Like Jesus, he reaches the city from the Mount of Olives and Gethsemane, enters through the eastern gate, then proceeds to the Temple Mount, discovers the place of Solomon?s Temple and restores worship at the ancient place by building a mosque.? This is especially striking because Jerusalem is associated with the Second Coming of Jesus in Christianity and with Messiah?s appearance in Judaism. Islam was now claiming supremacy over both. Over the eastern and southern gates of the Dome are two inscriptions: ?The Unity of God and the Prophecy of Muhammad are true? and ?The Sonship of Jesus and the trinity are false.? Inside the Dome are inscriptions declaring, ?The Messiah Jesus, son of Mary, is indeed a messenger of God;? ?So believe in God and all the messengers, and stop talking about a Trinity, Cease in your own best interests!? ; and ?It is not fitting that God should beget or father a child.? Al-Malik?s choice of a dome on top of a circular structure surrounded by a double octagonal ambulatory was quite significant. It was common in many of the great churches of Christianity (e.g., the Church of the Holy Sepulchere and the Hagia Sophia in Constantinople) and was commemorative in nature. The Dome of the Rock is 65 feet in diameter (the same as the Church of the Holy Sepulchere) but is not a mosque; it is a shrine to the place where Muhammad was taken into heaven for his ?night vision.? The Dome was thus much greater and far superior than any church in Christendom. In addition, the Dome of the Rock was viewed in Islamic tradition as the new Solomonic Temple. According to Muslim tradition, Solomon built his Temple directly over the rock and this was the rock from which The Prophet Muhammad ascended to heaven. 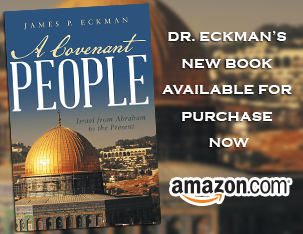 Sharon writes that ?Muslims believed the Dome of the Rock symbolized the renewal of Solomon?s Temple, and thus served to refute the belief of Christians . . . that the site would remain desolate until the Second Coming.? The building has no central axis but is encircled thrice?first by the outside walls, next by the octagonal arcade and then right under the dome, bathed in sunlight, the arcade around the rock itself: this declared that this place was the center of the world. The dome itself was heaven, the link to God in human architecture. The golden dome and the lush decorations and gleaming white marble declared this was the new Eden, and the place for the Last Judgment when Abd al-Malik and his Umayyad dynasty would surrender their kingdom to God at the Hour of the Last Days. Its wealth of images?jewels, trees, fruit, flowers and crowns?make it a joyful building even for non-Muslims?its imagery combined the sensuality of Eden with majesty of David and Solomon. Before Islam, the Church of the Holy Sepulchere was the most imposing structure in Jerusalem; now it was the Dome of the Rock. Jerusalem was now a Muslim city. Caliph Abd al-Malik not only built the Dome of the Rock, he centralized and unified Islam. He formulated the double shahada, the central belief statement of Islam: ?There is no God but God (Allah) and Muhammad is his prophet.? The Prophet?s sayings?the hadith?were collected and Abd al-Malik?s edition of the Qur?an become the only legitimate one in Islam. Arabic was now the official language of Islam and coins of the realm no longer bore human images of any type; they were exclusively decorated only with Arabic writing. Abd al-Malik and his son, Walid, also built the al-Aqsa Mosque on the southern part of Temple Mount, which became the imperial mosque of Islam. Jerusalem would remain in Muslim hands until the end of World War I, when, under the British Mandate, it would be governed by Great Britain, which would end with the establishment of the modern state of Israel in 1948.